• To furnish condensation protection. In case of floor surfacing, aesthetic requirements, wearing resistance and overall serviceability are very important, in addition to structural requirements. At first we will start with concrete roof. To achieve adequate drainage, slight pitch may be provided in roof slab, alternately light material like cinder concrete can be used as fill material, which may be covered by proper roofing material. The filling thickness should be varied in such way that desired slope is provided to roof surface. Again degree of slope for easy drainage depends upon surface finish of exposed roof i.e. smoothness controls amount of slope. When hard tiles are used, a slope of 1/8 in/ft is considered enough. But ¼ in/ft (least value) slope is required, in case of gravel and felt roof. If special treatment is not provided, drainage water may seep into building at slab edges; to avoid this some type of flashing is provided along parapets of roof. To provide protection against condensation, the probable best ways are to provide proper insulation and ventilation. Insulation type and materials are chosen based on class of building of our interest. Imperviousness of roof can be best achieved by providing some type of roof covering. These separate coverings may be of several layers of suitably treated felt, each layer is cemented to slab and neighbor layer by using asphalt or coal-tar pitch, and overlay of gravel or vitrified tiles with asphalt embedment may be used. Any type of commercially available built-up roofing maybe used. Corrugated iron, tin and copper roofing can be placed above RCC building. But they are more expensive relative to other options stated above. Let’s discuss about floor surfaces, many types of surfaces are applied as wearing course above concrete floors. Concrete topping of thickness of (3/4 ~2) inches are very popular. This can be applied in two ways either by bonding or by monolithic construction. To achieve monolithic behavior, concrete topping should be applied within 45 minutes after placing of base slab. Bonded finishes should be placed on hardened base slab. A rough base surface is essential to produce a proper bond. 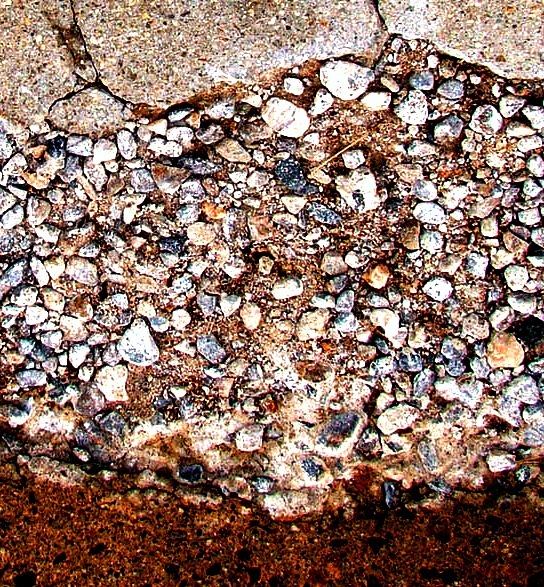 Now epoxy cement is very popular as it produces improved bond between old and new concrete. The mix proportioning for concrete topping may vary depending on wearing requirement and attributed hardening agent, very often, is introduced. Wooden floor, if desired, may be constructed, by embedding oblique nailing strips (or sleepers) in cinder concrete layer above main slab; generally 2x4’s laid flat. Small flat tiles of vitrified-clay embedded in 2” thick Portland cement layer shows satisfactory performance. Linoleum or asphalt tile over smooth cement base is also popular. To achieve the best serviceability of a particular type of surfacing, extensive study of methods should be conducted. Have a safety harness and scaffold, and also have correct footwear that can help you move appropriately across the roof.